For most of my life, if you'd asked me my favorite flavor, I would have said banana. As a kid, I loved banana flavored anything and I didn't care much if that flavor was natural or artificial. As an adult, I've gotten much more discerning and the fake, extract flavors found in most commercial products just won't do. So I eat a banana every day and periodically bake the over-ripe ones into a banana bread. There are always bananas on my counter and bananas in my freezer (for smoothies). So, when the founders of the Bundt-a-Month group, Anuradha of Baker Street and Lora of Cake Duchess, announced that this month's category would be tropical fruit, I knew immediately what I would be using. But, of course, this couldn't just be a banana flavored cake, like banana bread, only baked into a bundt shape. Snooze... yawn... Zzzzzz. Not that it wouldn't taste good but a banana bundt should be special. What I had in mind was something along the lines of a classic bananas Foster, all gooey and caramelized. The result was a super moist, natural banana, cake with a crunchy, caramelized top. Oh, and did I mention that bananas are good for you? They are high in potassium which helps to regulate blood pressure. We kept our blood pressures very well regulated as we scarfed down this cake. :) Enjoy! Butter and flour a 12 cup bundt pan. Pour the melted butter into the bottom, sprinkle on 1/2 cup of the sugar, layer on the sliced banana and top with the chopped nuts. In a bowl, combine the flour, baking powder, baking soda and salt. In a separate bowl, beat together the remaining sugar, room temperature butter, eggs, buttermilk and vanilla. Mix in the mashed bananas. Slowly beat the dry ingredients into the wet mixture until everything is fully incorporated. Pour the batter over the walnuts in the bundt pan and bake in pre-heated 350 degree oven for 45 minutes or until a toothpick comes out clean. Cool thoroughly in the pan (allow a couple of hours) before turning the cake out onto a plate or stand. Be sure to follow Bundt-a-Month on Facebook where we feature all our gorgeous bundt cakes. Or, head over to our Pinterest board for inspiration and choose from over 350 bundt cake recipes. What a great looking cake!! I haven't had Bananas Foster forever!! I would love to try this cake! Anita, this is one fine-lookin' cake! I love bananas foster. I can't wait to give this cake a try. love this banana bundt! It's just beautiful! All gooey and caramelized, with bananas and walnuts (which, by the way, are quickly becoming my fave nut to cook/bake with)? This looks and sounds absolutely delish! Yayyy I love bananas and this bundt cake looks yummalicious! Bananas Foster is one of my husband's favorites. If he sees it on a menu he will order it for sure. Looks like I'll have to surprise him with this cake one day. I know he would love it. Bananas foster is one of the best flavors. I wish I had this cake in front of me! Amazing, love it! Oh, boy, that caramelized topping pushes this over the top! What an amazing Bundt cake, Anita! This cake's texture looks amazing! I love the idea too, yum! This cake looks delicious! I've totally been craving Bananas Foster lately! The topping sounds wonderful and I love that I could convince myself that I was eating my daily serving of fruit with all of these bananas!! This is gorgeous! I love bananas foster and haven't ever had it in cake form. It's making my mouth water and this topping sounds fantastic. Mmm! Anuradha and Lora bring out the best in us! Your bananas Foster Bundt is lovely and I am sure it is also delicious. How can you go wrong with caramelized bananas in a Bundt? I'm going to get the ingredients today to make this!! Yum, your cake looks and sounds absolutely delicious! Banana Foster bundt cake?! YESSSS please! OH mah worrrrd!! Banana foster is da bomb as it is... and now you put it in a bundt?! I LOVE IT! I am with you on the banana foster dessert. Your bundt looks lovely! Bananas were my favorite growing up too. I still get nostalgic when I bake a loaf of banana bread. This bundt cake looks like a grown-up version of my childhood favorite. Thank you so much for sharing it with us! This sounds delicious! I love bananas, and this looks like the perfect way to use them. Pinned! moist cakes and bundts are my favorite things ever! 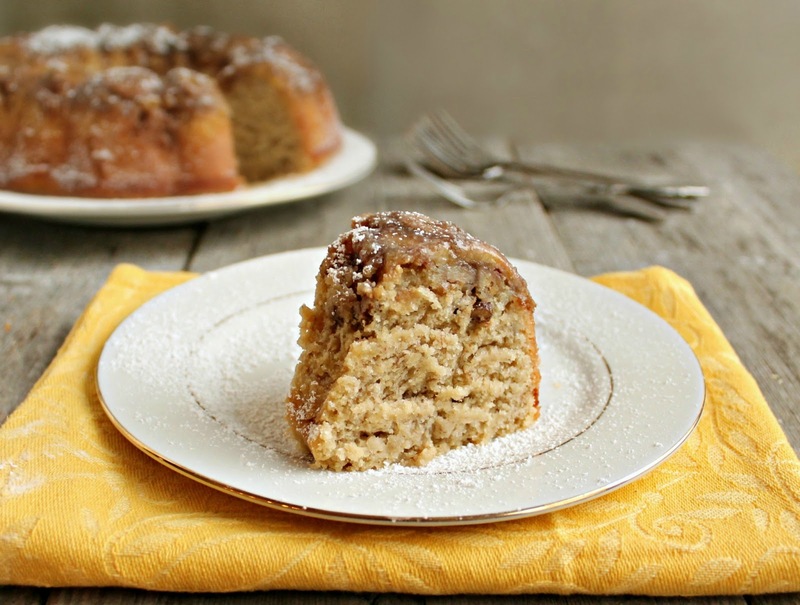 bananas foster cake is a brilliant idea! i want to make this soon! 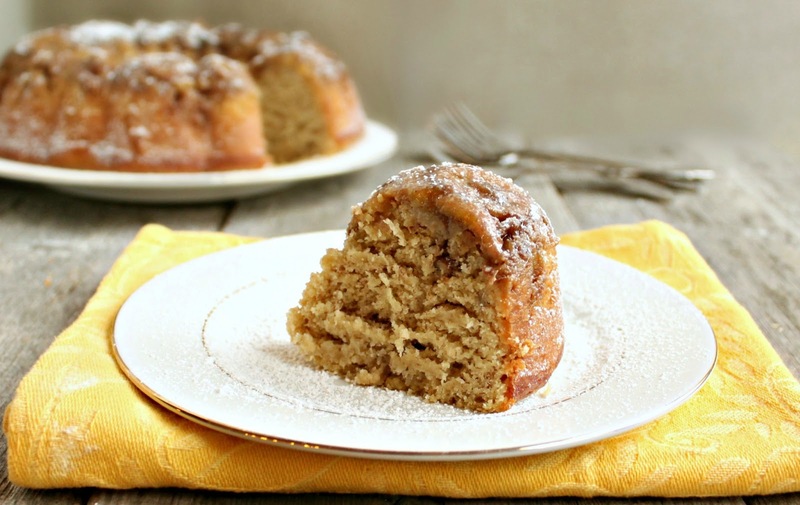 Love your Bananas Foster Bundt cake. WE love Bananas Foster, so pure genius to bake it in a bundt. I'm with you - I adore bananas. A fresh banana milk shake sends me over the moon. This cake would come a very close second for sure. Just took it out the oven and it tastes delicious!! Not sure I can wait the full 2hours for it too cool down!! Wonderful cake!! I turned it out of the pan about 45 minutes after baking and it was perfect. :). Very moist, light and cake like consistency. I added a dash of cinnamon. I just made this last night and it turned out superb!!!! and I am eating it again for a snack - the next day and it's still so rich and gorgeous! Thank you !!! Highly recommended!! 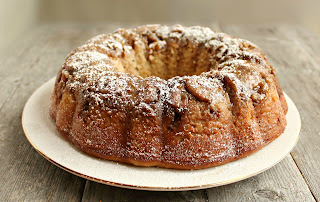 I am going to make this cake this weekend...with my old aluminum bundt pan that is!